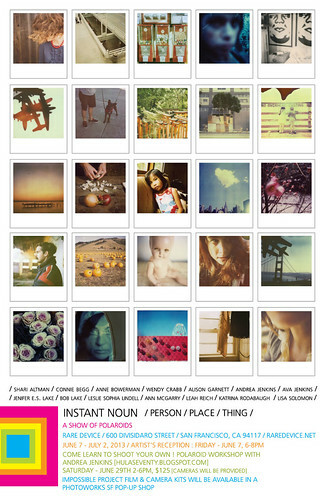 instant noun, originally uploaded by sproutgirl74 / jenifer lake. i'm in a show with a bunch of other awesome polaroid shooters at rare device - opening is on june 7th; be there! i will! i'll also be teaching an adult drawing class in may @makeshiftsoc - details soon!, originally uploaded by sproutgirl74 / jenifer lake. drawing 101 is this evening at makeshift society - tips/tricks, wine, drawing, relaxing, good times. REMINDER! creators & makers come out, come out! this is your official REMINDER that my makeshift class is coming to you THIS thursday! 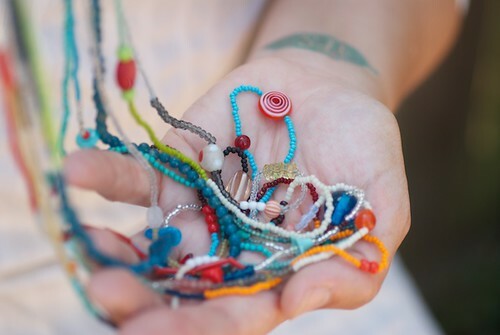 tell your friends, grab your neighbor, adorn yourself with gorgeous amounts of vintage beaded awesomeness! that you made! by yourself! astound & wonder your fans -- come to my CLASS! i'll be serving all the wine you can sip for 2 hours while crafting to the max. i'll also bring treats. you'll also get a cute goodie bag of all sorts of rad necklace making paraphernalia! super fun awesome rad vintage necklace making class with ME! 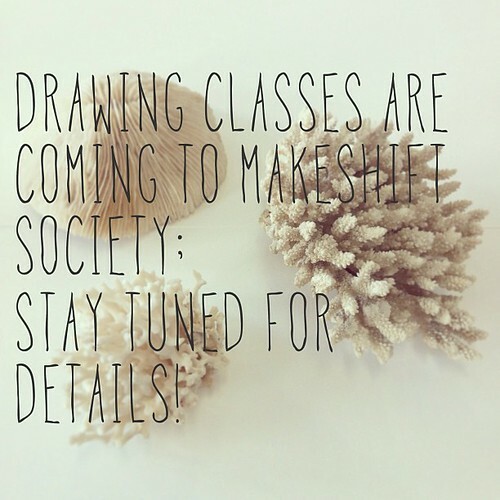 @makeshiftsoc - i'll be teaching drawing, come join us & spread the word. details: http://makeshiftsociety.com/event/beginner-adult-drawing/, originally uploaded by sproutgirl74 / jenifer lake. 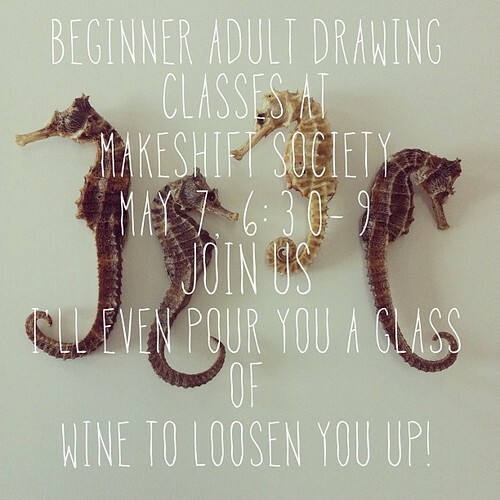 i'll be teaching a class at makeshift society in may on drawing! come & join us - all information can be found on the makeshift site! it will be great fun - i promise. date change!! vintage seed bead necklace class: prepare for addiction! vintage seed bead necklace class, originally uploaded by sproutgirl74 / jenifer lake. on march 28th, (this is a date change!) from 7-9pm i'll be teaching my seed bead necklace class at the awesome makeshift society here in san francisco. i'm super thrilled to teach this again & share all my beautiful bead finds with you! you get to dig in to all of my collections & make what you like with all the jewels therein. come join us! sign up here & come along! Untitled, originally uploaded by sproutgirl74 / jenifer lake. hi crafties! 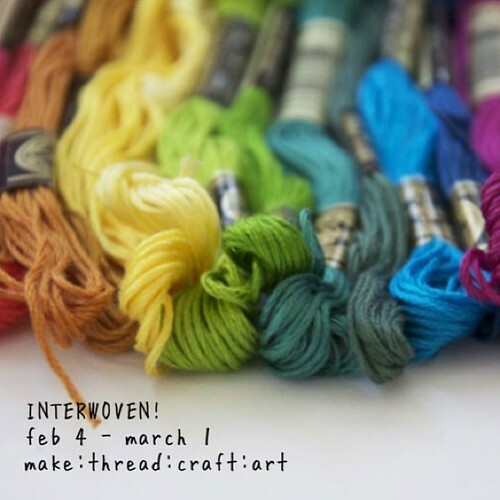 my dearest, most talented friends katrina rodabaugh & lisa solomon are teaching an online course on crochet:: soft sculpture:: embroidery:: & quilting:: !! K-8 art educator & small business owner. my sites, where to find me, photos, etc: sprout studio, sprout studio etsy, the gleaner project etsy.